Our bees make a circuit. 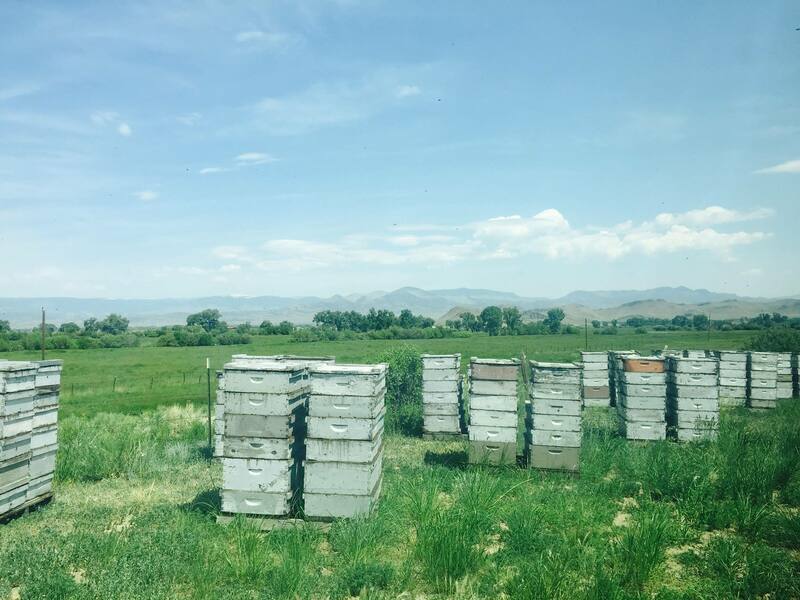 They are currently here in CO for the summer, which is for clover honey production. We ship them to West Texas (Presidio area) in October for the winter. Down there, they just hang out and get some rest. Late January, we ship them to Central California for almond pollination. That lasts for a month and a half. No honey is made, just pollinating the trees. 1.6 million colonies of bees are needed in CA just for the almond crop! By mid-March, the bees head back to TX where we set up half the colonies for spring honey production. The other half we split in two and introduce new queens. This makes up for colony losses over the past year. We used to split less, but yearly losses have climbed dramatically in the past ten years. You will read that even though yearly losses are way up, the colony population in the U.S. is stable. Beekeepers are keeping that population stable by making more “splits” every spring. If you look at our Facebook page, there is a very cool video son John did two years ago. He set up his GoPro and did a time lapse of us unloading a semi load of bees. For a plant to reproduce, an exchange of pollen is required. In some plants, this is done by the wind. Most plants require a visit by an insect and often birds. Plants have evolved a process in which they offer a reward to the insect: nectar. Insects use the nectar as their carbohydrate source and haul pollen (protein) back to the nest. We humans do everything on different scales than Ma Nature. We plant a bazzilion plants in relatively small areas. There are simply not enough indigenous pollinators to do the job. Bring in the Commercial Beekeeper! We can place several million pollinators in just one night. As for the bees: honey bees are about the only pollinator out there that produces a surplus. That is where our honey comes from. We take some of that surplus and leave them enough to get through the winter. Nectar is taken into the honey stomach, and transported back to the hive. While in the honey stomach, the nectar is infused with enzymes. Deposited in the honey comb, the nectar/enzyme mix is 80% water. The bees will allow the mix to dehydrate to around 15-17% water and you have honey! The bees then place a wax capping on the honeycomb cell, and that honey will remain at that moisture level, and fresh, until opened up again by the bees for consumption (or when we do it to extract the honey). 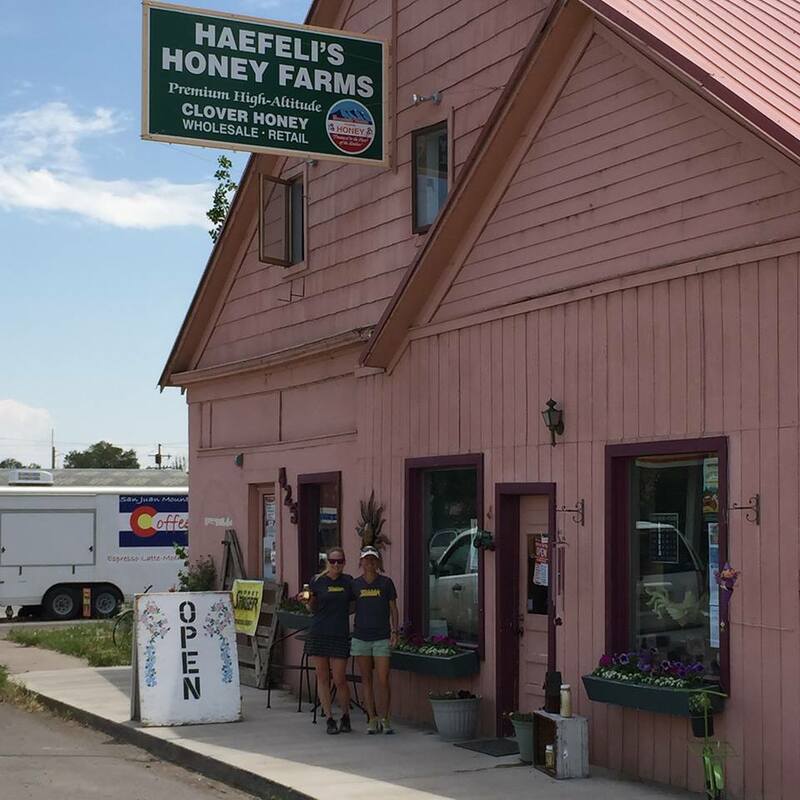 Learn more about the Haefeli Honey Farm by visiting www.haefelihoney.com. 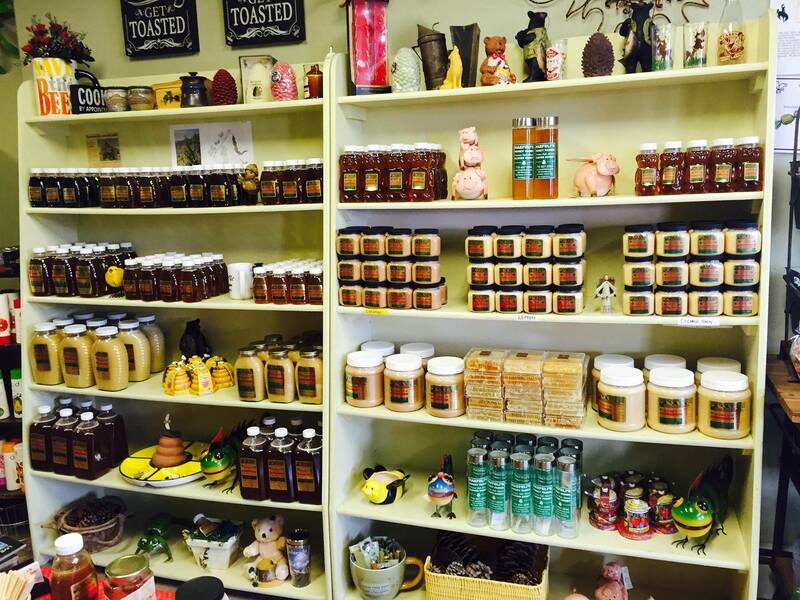 This entry was posted in Uncategorized and tagged Haefeli Honey Store, honey bees, Honey Stinger, Tom Haefeli. Bookmark the permalink.